Foresight Prenatal Clinic is a dedicated testing facility with a focus on parental risk assessment for Trisomy 18, Trisomy 21 and Neural tube defects. Our focus is on 1st, 2nd and 3rd Trimester scan with the primary focus on Combination Screening or OSCAR (One-Stop Clinic for Assessment of Risk for fetal Anomalies) or more Commonly known as NT Scan, Triple Market test and Biophysical Profile. For the NT scan or Combination test you will be asked to give a sample for your blood. After the blood is collected by a lab technician you will be requested to lie down for the ultrasound. A gel is applied over area to be scanned. The triple marker test analyzes how likely an unborn baby is to have certain genetic disorders. It is also known as a multiple Marker test. The exam measures the levels of three important substances in the placenta: alpha-fetoprotein (AFP), human chorionic gonadotropin (HCG), and Estriol. 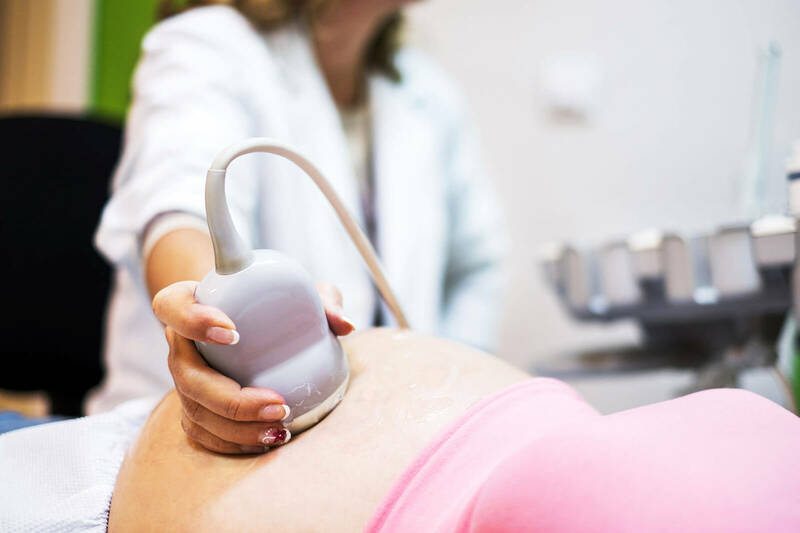 A biophysical profile is a simple, painless test that is performed during pregnancy to assess the baby’s well-being specifically, whether he is getting enough oxygen in the womb. It is typically done if the expecting mother has gone past the due date. It can also be used sometime in the third trimester if the expecting mother is having a high-risk pregnancy. It is done at anytime, but it is most accurate in the first 12 weeks of pregnancy. All patients are requested to make prior appointment before visiting us. We are available at the give hours for consultation and tests. You can also make a special appointment outside these hours. I’m really satisfied with their service and guideline. They gave me accurate results for every single test. And they always maintained their time schedules properly. I suggested my relatives and friends to go there. NT scan is very important for all expecting mothers to assess the baby’s risk of having Down syndrome (DS) and some other chromosomal abnormalities, as well as major congenital heart problems. It is mandatory as it ensures your baby’s well being. I have done it in foresight prenatal clinic and was extremely satisfied with their service. I would recommend to all expecting moms. During my pregnancy I did Ultrasound test in other hospitals but not so much satisfied as they don’t give much time, don’t explain everything well,don’t allow husband. Here I did my NT scan Ultrasound 2 times (early stage and mature stage). Ultasound Specialist gave a lots of time, explain everything , allow my husband first to last to see our baby movement,even my baby was sleeping, she wait for that, and did when my baby was in right position. The other peoples are very co operative and friendly. The NT report is perfect. No other hospital do the NT scan with a blood report which is very important and they are doing this.Although it’s little expensive but nothing is important than a Healthy Baby. I would suggest every pregnant woman should go there for better USG and NT scan. Best wishes to this clinic. Absolutely A class prenatal ultrasound screening. My wife and I used to go there for her regular screenings. Dr. Nargis Fatema suggested us to go there as their detailed reports are crucial for anyone having trouble with baby. The ultrasound specialist is very friendly and helped us explain everything in details that what is happening inside the womb. You cannot find any clinic or hospital which also let husband go to the ultrasound room and take part with her wife, and explains everything to the husband as well. Yeah it is a bit expensive but it is worth it. My first experience was how the doctors made me feel like a part of their family rather than a patient. Although I was having vitamin D tablets I was advised to get a vitamin D test done which showed that I still had insufficiency. This test is very important for both mother and baby. Apart from my first ultrasound, I have done all my ultrasounds here since the doctor would take a lot of time and patience monitoring and guiding me throughout the entire scan. She gave me a CD with pictures and short video clips of my fetus and also personally printed out two photos from the scan where the facial features were clearly visible. Service was good! We are satisfied! many thanks. Their NT scan service is absolutely world class. Highly recommend them to all the expecting ‘to be’ parents living in and around Dhaka.